 GTSLIMO's service at LaGuardia, JFK, and NWK is second to none. The advantages of using our limousine service over others at any of these locations are clear, as we constantly strive to provide you with the most convenient and comfortable luxury limousine service possible. We guarantee that you will reach the airport in plenty of time for you flight and our friendly staff will be waiting for your arrival with the vehicle of your needs. GTSLIMO. provides comprehensive group transportation management services for all sizes and types of private and company events. Our Event Services experts work closely with you to create a complete customized package according to your event needs. Our team will work with you on planning the logistics of your event, meeting, or conference. Let us worry about the details of your transportation allowing you the time to think about your other plans. Whether you are traveling for business or pleisure, you can now travel in safe, affordable and comfortable style, between major metropolitan cities and business destinations. With GTSLIMO., you can travel door-to-door from your home or office directly to your destination. You now have the flexibility to leave on your own time schedule, and our affordable rates are priced per vehicle, regardless of the number of passengers. Whether it's simply a night on the town. On a date... out for dinner and a Broadway show... or with a close group of friends to a night club, let GTSLIMO be your designated driver. We will cut those long waiting lines for you. Sit back and and enjoy a worry free of driving, parking or hailing a cab. Treat yourselves and your friends to a lively and stress-free evening beginning with a sumptuous meal at one of the area's finest restaurants, followed by a hit show on the Broadway. We're yours alone for the evening, so your car will be waiting for you at any time, should you have a change in plans. After the show you can indulge in a sinfully rich dessert stop and a relaxed drive home right to your front door.